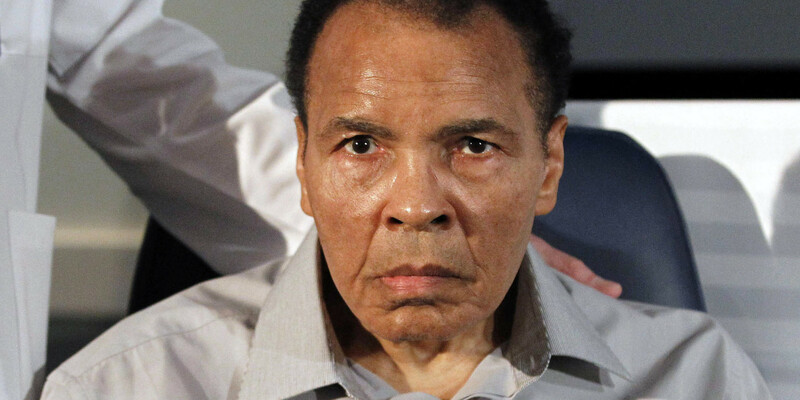 Boxing legend Muhammad Ali is reportedly back in the hospital one week after being released. Radar Online reported on Thursday that Ali is back in the Intensive Care Unit (ICU). According to the report, an inside source claims that guests inside of his Arizona home called 911 early Thursday morning. The phone call was made due to Muhammad Ali’s excessive sleeping as well as his lack of response. An insider close to Muhammad Ali’s family reported that the former heavyweight champion had been asleep for more than a full day by the time they alerted emergency services. With his 73rd birthday quickly approaching, it seems like Muhammad Ali might be spending it inside of the ICU at a hospital in the Scottsdale area. He is reportedly being monitored very closely while being seen and cared for in the Intensive Care Unit. The report confirms that Ali is currently surrounded by his loved ones, including wife Lonnie and one of his daughters, Hana. As previously reported by the Inquisitr, Muhammad Ali was last admitted into the hospital in late December. He was initially diagnosed with pneumonia, but doctors later diagnosed him with a severe urinary tract infection. According to the report, Ali stopped breathing on the night of Friday, December 19, which prompted family members to call 911. Muhammad was revived by paramedics and taken to the Intensive Care Unit with fluid inside of his lungs. He spent a considerable amount of time hooked up to IVs and a respirator. During that particular hospital stay, both of his daughters — Laila and Hana — were by his side. Bob Gunnell, Ali’s official spokesman, along with Ali’s wife, Lonnie, provided updates to the press on his condition throughout his hospitalization. In addition to his decades-long battle with Parkinson’s disease, reports confirm that Muhammad’s health has experienced a sharp decline in recent years. The man who was once known for his poetic taunts and outspoken statements lost the ability to speak. His entire family reportedly hoped that Muhammad Ali would make it to his 73rd birthday, which is currently just days away.